The most advanced wave board in the line. This is Jimmy's "short board” in the stand up line originating from his high performance short board designs. The rocker of this board fits into the pocket of the wave and allows for quick, tight maneuverability. 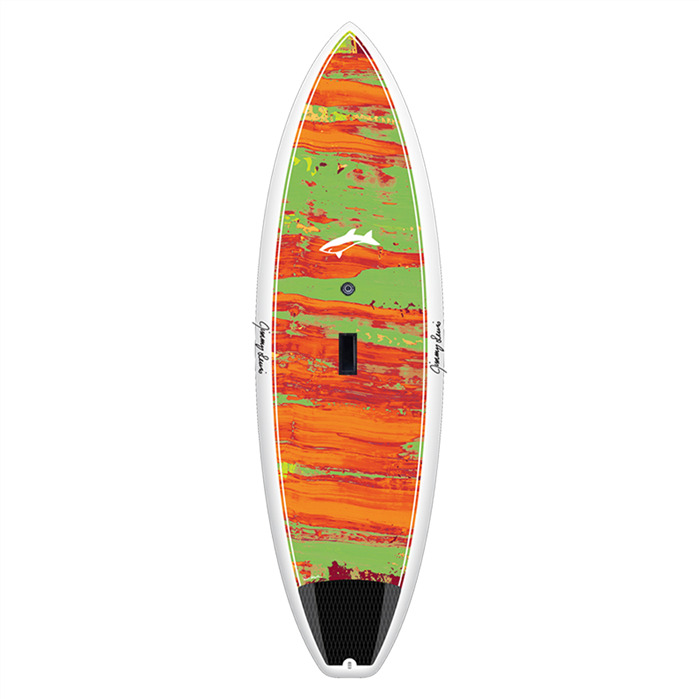 The single concave in the center flowing to double concave in front of and through the fins gives the board lift and drive for maximum speed. 5 fin box set up, carbon and standard construction available. Please check in with the SUP Centre for availability, orders and board details.